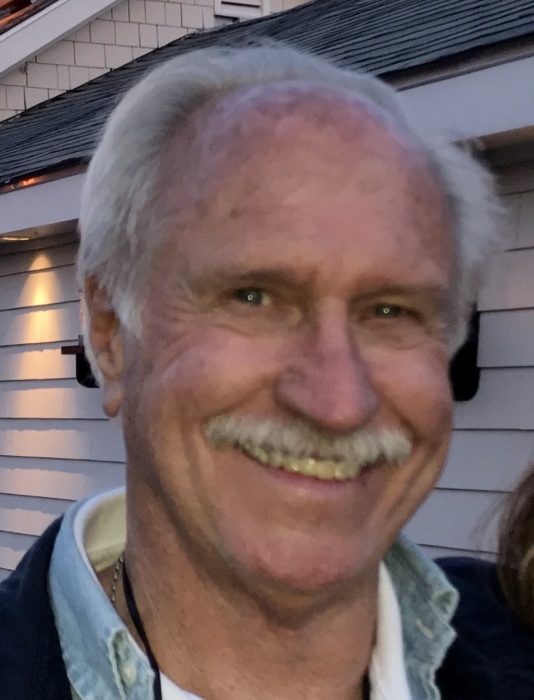 Tom Ballard, 72, of Bardstown, passed away unexpectedly, Saturday April 13, 2019 at Flaget Memorial Hospital. He was born November 13, 1946 in Lebanon, and co-owner of TEBCO. Tom Ballard was a life-long Kentuckian who was happiest at the home and farm he designed and built in Bardstown, Kentucky. He regularly used his skills as an artist to create personalized work, including a local mural, the logo for St. Joseph’s, the Tullamore Neighborhood, Natori marketing materials, personalized family crests, sculpture, and giclee art. He was known locally as a photographer who created popular composite scenes of Bardstown. Tom Ballard planted and cared for thousands of trees. Throughout his whole life he loved animals and protected wildlife. He caught poisonous spiders in cups and set them free. Family was at the center of Tom Ballard’s life. For 50 years he was dedicated to his wife, Margaret Mary Ballard. Together they traveled the world’s beaches and forests, from Peru to Costa Rica to the Pacific Coast. He spent every Christmas at the beach with his huge family in Siesta Key, Florida. His favorite time of year was fall when he could enjoy the changing colors of the trees he had planted at home on his farm. He was an expert on dozens of topics, including car racing, wilderness survival, photography, astronomy, real estate development, and elaborate landscape design. He was always willing to share his talents as an artist, especially for a good cause. His family loved him and he loved his family. He had nicknames for everyone he loved. Do you know what he called you? If you do, then he loved you. He was preceded in death by his parents, Thomas Emerson and Isabelle Simms McCawley Ballard II; and brother, William McCawley Ballard. He is survived by his wife, Margaret Mary Ballard of Bardstown; four children, Genny Duffy Ballard of Danville, Kentucky; Matthew Guinan Ballard (Anneli Ballard) of New York, New York; Sarah McKenna Ballard (Ryan Shipp) of Harrisburg, Pennsylvania; and Mary McCawley Ballard Edwards (Eric Edwards) of Bend, Oregon. His grandchildren: Isabelle McCawley Ballard, Matthew Demetrio Ballard, Emerson Shearer Ballard, Callum Thomas Ballard, Cora McKinley Ballard, and Lilah Mae Ballard. His brothers: George Ballard of Bardstown, Kentucky; Francis Ballard of Morehead, Kentucky; James Michael Ballard of Bardstown, Kentucky; John Bland Ballard of Bardstown, Kentucky; Robert O. Ballard of Bardstown, Kentucky. Sister-in laws: Harriett Ballard, Peggy Ballard, Candy Ballard, Angela Ballard, Nancy Ballard, and Beth Ballard. Nieces and nephews: Megan, Chris, Rebecca, Emily, George, Hilary, Emerson, Margaret, Anne, Rose, Kent, Ben, Joe, John, Kate, Josh, Alisha, Mariah, Robbie, and Anthony. His prayer service will be 1:00 pm Wednesday April 17, 2019 at Basilica of St. Joseph Proto-Cathedral. Memorial contributions may go to Bernheim Arboretum and Forest, PO Box 130, Clermont, KY 40110 or Hole In The Wall Gang Camp, 565 Ashford Center Rd., Ashford, CT 06278.